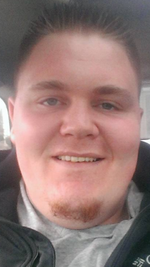 Toby Colpetzer Obituary - MILESBURG, Pennsylvania | Dean K. Wetzler Funeral Home and Cremation Service, Inc.
Toby A. Colpetzer, 22, of Bellefonte, passed away on Sunday, January 21, 2018. Toby was born in College Twp., Centre Co., on September 5, 1995, the son of Chris A. Colpetzer and Velvet L. Rossman Comly both of Bellefonte. Along with his parents he is survived by his step father, William D. Comly, Jr.; his brothers, Mitchell A. Colpetzer, Braedon W. Comly, and Tucker K. Comly all of Bellefonte; his Paternal Grandparents, Paul and Susan Colpetzer of Bellefonte and his Maternal Grandfather, David Rossman of Beech Creek. Also surviving Toby are numerous Aunts, Uncles and cousins. He was preceded in death by his Maternal Grandmother, Cathy Rossman. Toby attended the Christ Community Church of State College. He loved Penn State sports, the Pittsburgh Steelers and the Pittsburgh Pirates. Toby was a Gentle Giant, with a smile that no one could forget. He was a people person that everyone loved and will be greatly missed.